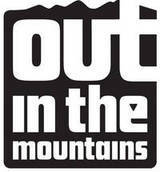 I wrote a story this week about the end of Out in the Mountains, Vermont's GLBTQ newspaper. Their last issue hit the streets today. I started my journalistic career at OITM. Here's my very first published story, about my then-favorite local musician, Katherine Quinn. It's from May or June of 1998. It's funny to read that story now and think about how things have changed. I ended up getting civil unioned to Ann-Elise, the woman I mentioned in the lead, and she and I have a 9-month-old baby boy. I'm working as a gainfully employed staff writer. Katherine doesn't play solo much anymore. She got married to an organic wool merchant a few years back; they've got a little boy and twin girls. Rhombus Gallery tanked in 2002 (I think it was '02). Now OITM is closing up shop. I've got conflicting emotions about the end of this era of queer publishing in VT. I'll probably explore them in print before the year is out. Anybody else care to weigh in?